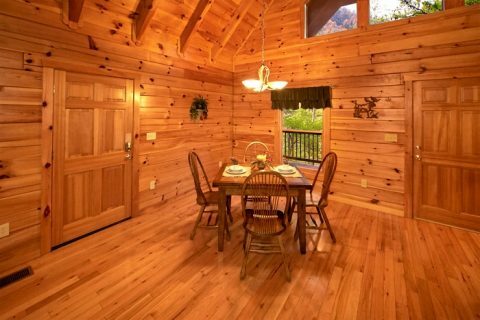 Looking for a romantic log cabin in the Smokies? 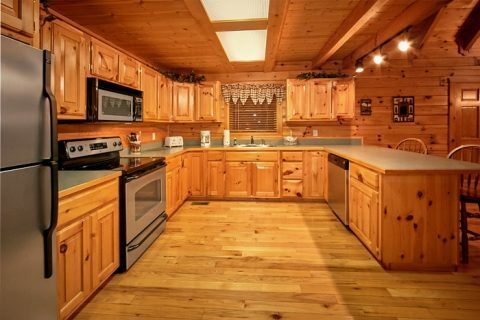 "Moose Tracks" is a lovely 1 bedroom cabin close to Pigeon Forge with romantic amenities and a gorgeous wooded setting. 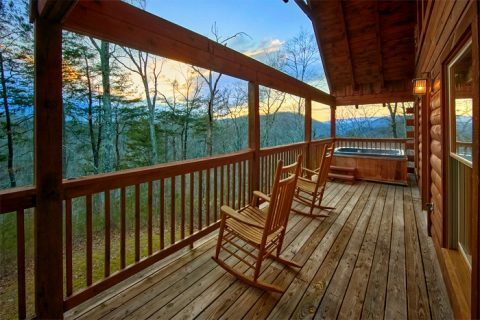 Better yet, you can enjoy excellent Smoky Mountain views from this cabin's back porch! 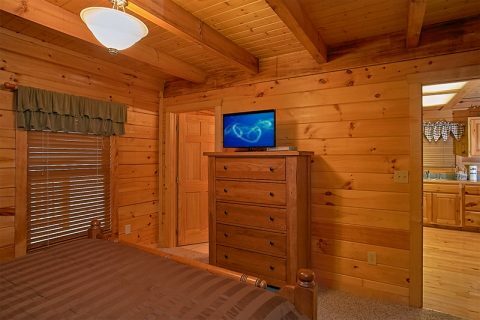 Located only a short drive from traffic light #10 in Pigeon Forge, "Moose Tracks" affords guests a great location for exploring the seemingly endless attractions along the Pigeon Forge Parkway. Here, guests can easily reach Dollywood Theme Park, Ripley's Aquarium in Downtown Gatlinburg, or the national park. 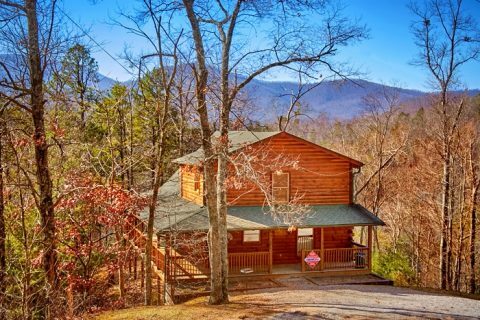 Not only does this great location save your precious vacation time, but it also means you can be first in line for great attractions in Gatlinburg or fast rollercoasters in Dollywood. 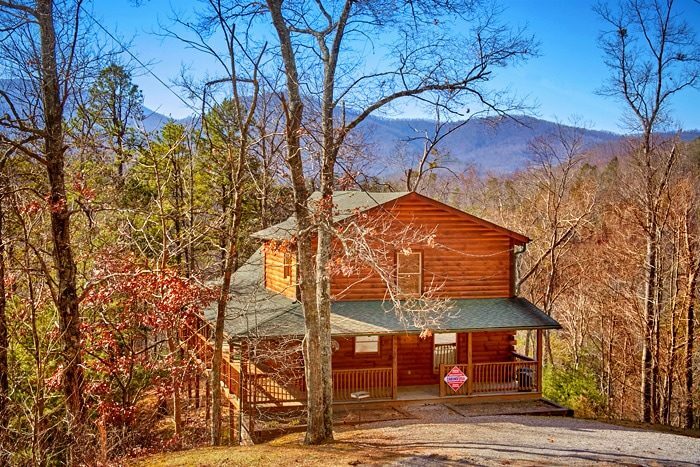 After a day filled with fun and adventure in the Smoky Mountains, you and your special someone will love relaxing at your secluded cabin with great views. 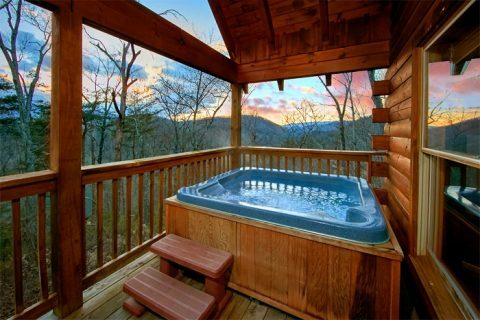 Enjoy a relaxing dip in your outdoor hot tub surrounded by the treetops. 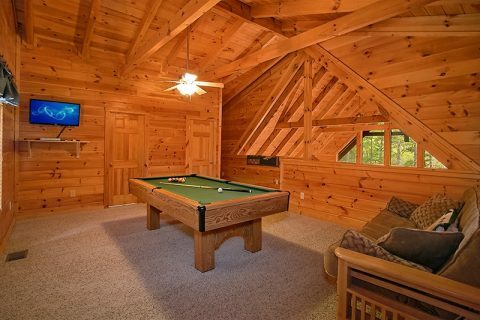 Play a few rounds of billiards on the pool table in the game room. 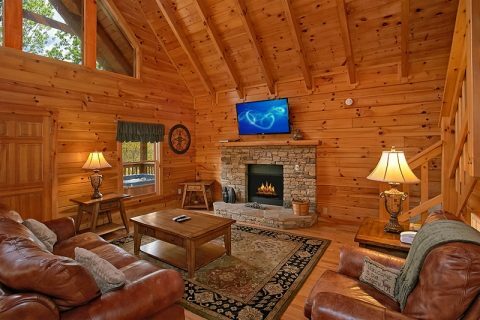 Stay warm by the fireplace while you and your sweetheart watch a good movie. 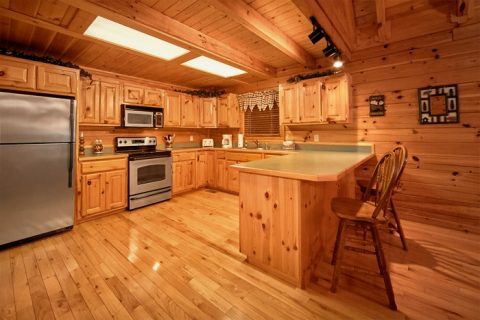 You can even cook a romantic dinner for two with your in-cabin kitchen and charcoal grill. When it's time to hit the hay, you can look forward to a good night's rest in this cabin's king-size bedroom before another day of adventure. 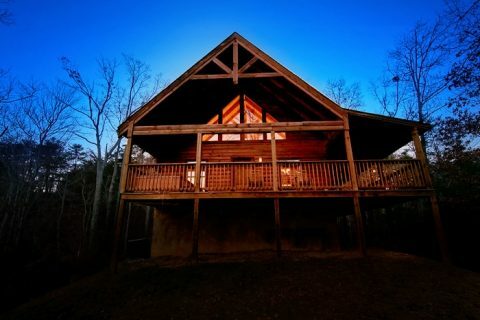 Book your Smoky Mountain honeymoon cabin with views with our 15% discount for a stay filled with romance and vacation fun. 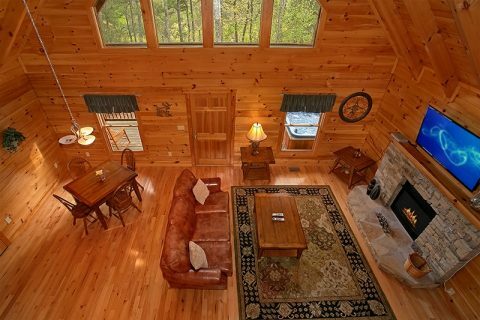 Enjoy an affordable honeymoon cabin in the Smokies with all the comforts of home and more!